There are several ways to get up to Tibidabo's church and fun fair. Take the FGC (Line L7) to the Av. 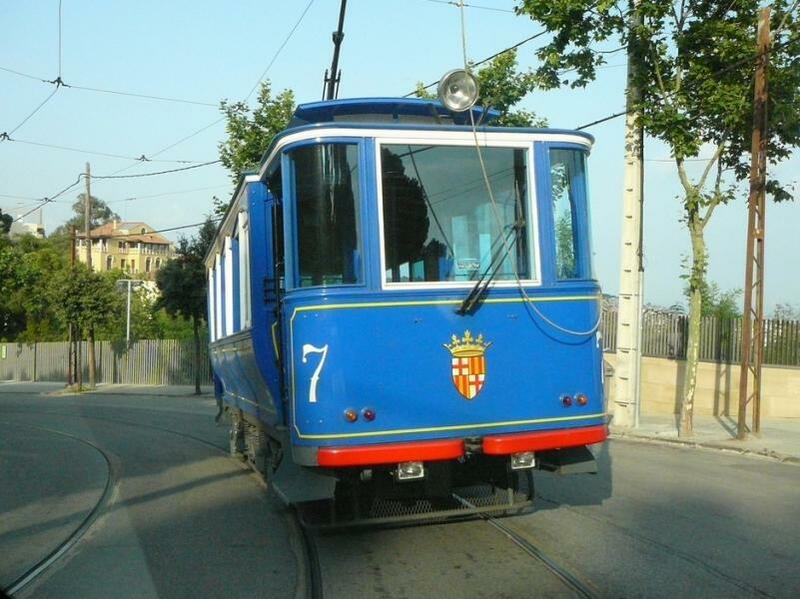 Tibidabo stop; from there hop on the Tramvia Blau (Blue Tram) to the Tibidabo Funicular in Plaça Dr. Andreu. Alternatively, take TMB Bus No. 196 directly to the Tibidabo Funicular. The Funicular runs every day except New Years, 6 January, Christmas and Boxing Day. Tramvia Blau runs when the fun fair is open, otherwise TMB Bus 195 follows the same route. Another (cheaper) option: Sarfa's Tibibus (T2A) which runs direct from Plaça Catalunya (corner of Rambla de Catalunya) from 10.45 am onwards every day that the fun fair is open, the last bus returning after the park is closed (€2.95 one way). Another shuttle (T2B) departs from the Vall d'Hebron car park (Metro: Vall d'Hebron). If you use the car park (€4.20), the shuttle bus is free.